The historic Nurburgring circuit in Germany is the next stop for Jazeman in the British F3 International Series, with this fifth event of the season taking place next weekend. 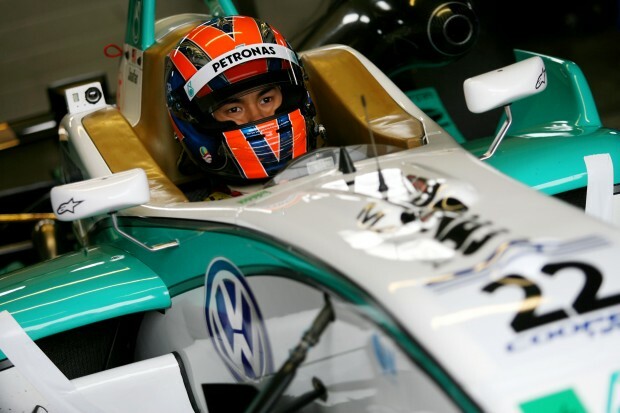 The first of three events in continental Europe, the German circuit marks the halfway point for British F3 in 2011, with Jazeman lying fourth in the championship, just one point behind third place driver, Carlin team mate Carlos Huertas. British F3 returns to Nurburgring after a five year gap, adding to the challenge for drivers and teams, as Jazeman explains, “I raced here in Formula BMW two years ago, running in both wet and dry weather, and had a couple of top ten finishes, so I have good memories of the track. “It’s a great track as it has such a variety of corners, and many of these are cambered, which makes them a little more difficult. It’s a flowing track, but with the long curves and quick chicanes it isn’t easy to put together the perfect lap. The first corner is a good overtaking opportunity, so it’s important to set yourself up well for this, so you can take the advantage if it presents itself. The Nurburgring round of the British F3 International Series starts on Friday with practice sessions. Saturday is qualifying and the first of the three races. Sunday concludes the weekend with two further races, including the final 40 minutes feature race.